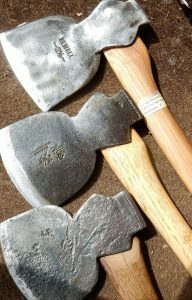 Quality refurbished tools for gardening, green wood-work, working in the woods, and many crafts… these are not currently available online. “Great, I love shops like this, just the way they should be, overcrowded with stuff, a real Aladin’s cave” a happy customer. We sell a large number of tools that are not requested by our overseas partners. These are fully refurbished, sharpened and fitted with new handles where necessary. They are individual in character and of much better quality than modern tools. 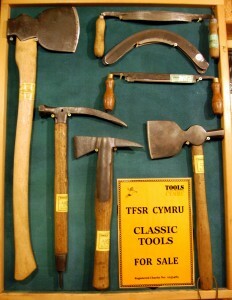 These tools include many billhooks, axes and slashers which we don’t send overseas because the blacksmiths can make them. 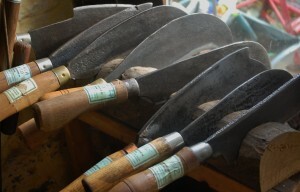 We are trying to support Tanzanian tool makers not put them out of business. 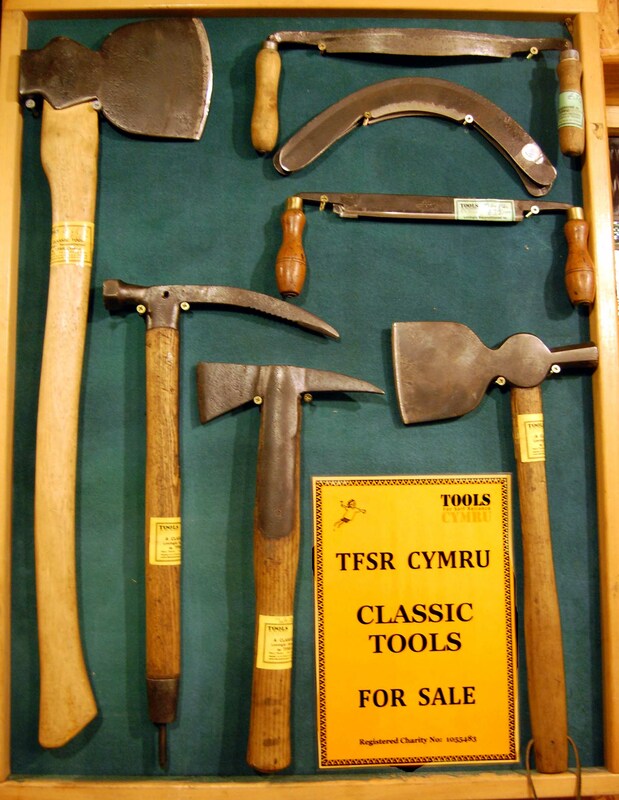 This is our main source of income and we sell them direct from our workshop in Crickhowell, or at events such as the Small-holders Fair in Builth Wells or the Green Man Festival. See “Where will we be?” for where to buy our tools. All profits from selling these tools go towards our Mwanza workshop which provides tools and training to artisan groups within Lake Zone. The blacksmiths groups are taught new skills on the forge, better hardening and finishing techniques, and helped with marketing their products. Carpentry groups are also given training in maintaining their tools and developing new products. This is a joint project between the Small Industries Development Organisation, and TFSR Cymru. Preventing Waste. 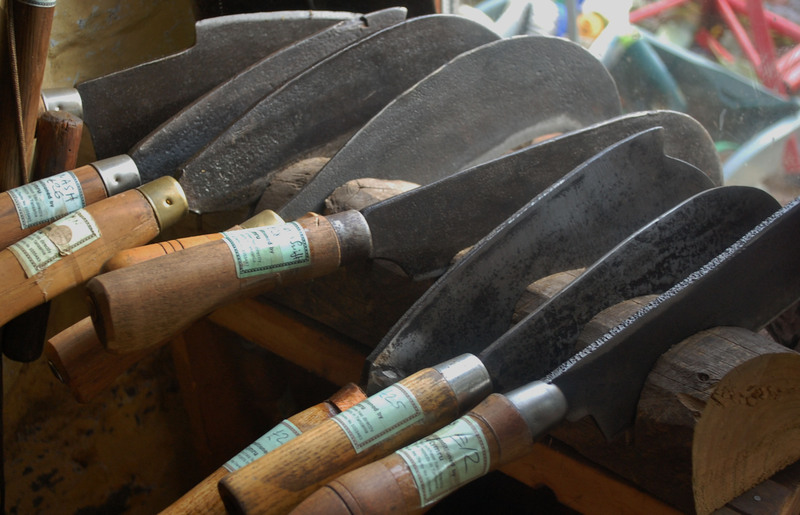 Recycling tools is one of our answers to the waste economy. We live in an energy-guzzling, consumer society, too ready to throw things away. In Africa, by contrast people waste very little. But what about the skills and energy of ordinary people?